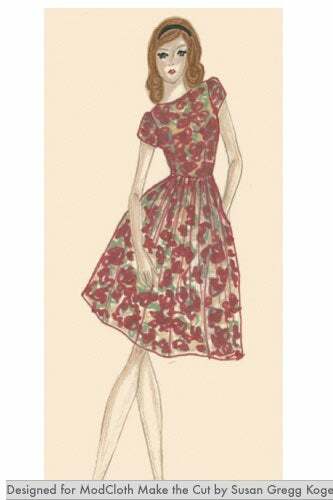 For a certain type of sweet, flippy dress that’s vintage-inspired, cute to boot, and would look right at home in Zooey Deschanel’s closet, we look to Modcloth to provide the goods (as well as expertly crafted puns).And today, Modcloth forays into the world of in-house lines for the first time, launching a collection that was designed, voted on, and chosen by Modcloth fans on Facebook. 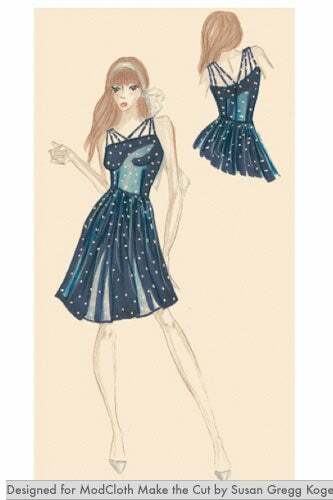 The 10-piece collection will be available on Modcloth.com at 3:00 EST today (noon PST). 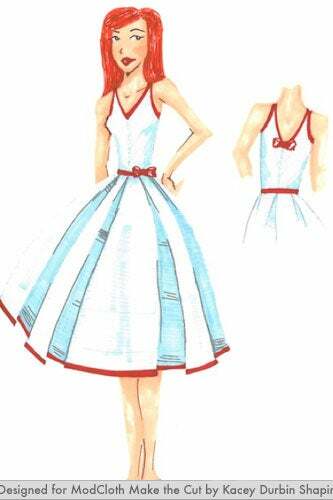 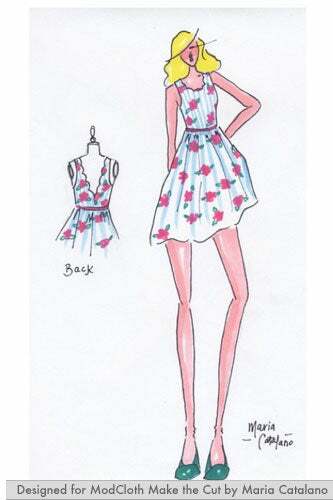 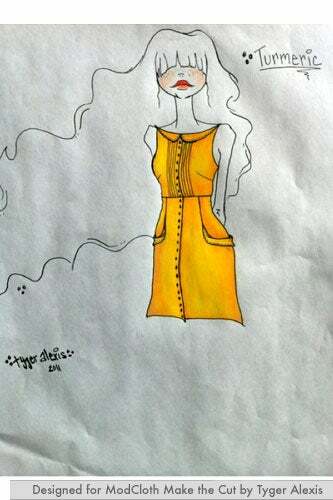 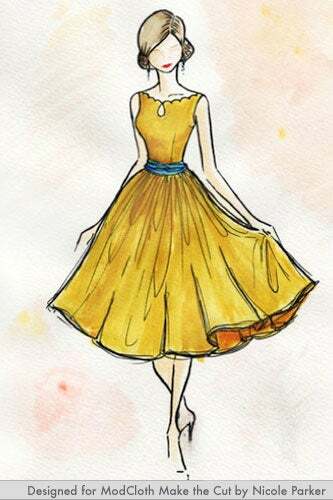 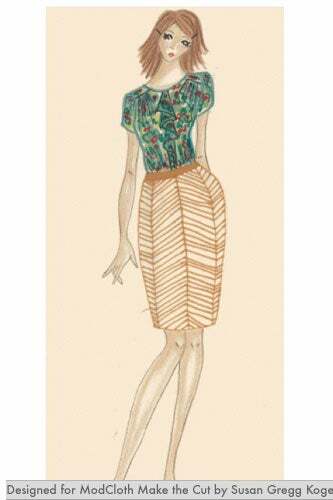 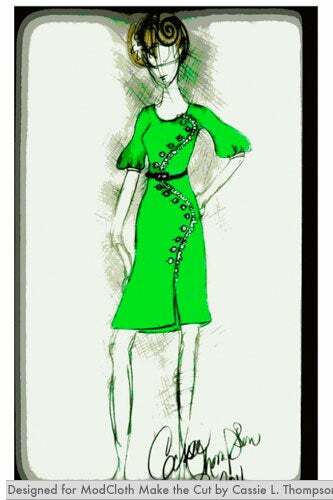 Click through to see all of the pretty dresses (and one top), as well as the sketches that inspired them! 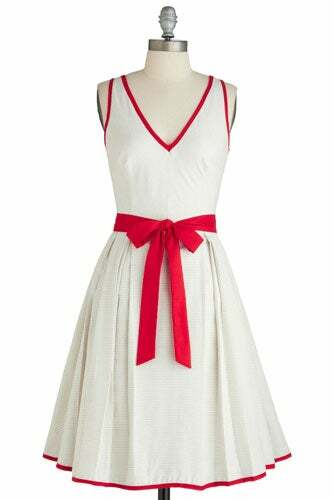 Beauty in The Air Dress in Light Carmine, $99.99, available at Modcloth. 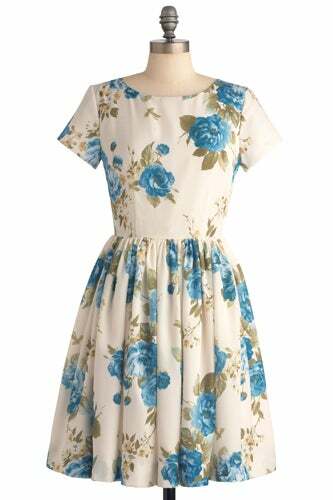 Beauty in The Air Dress in Delphinium, $99.99, available at Modcloth. 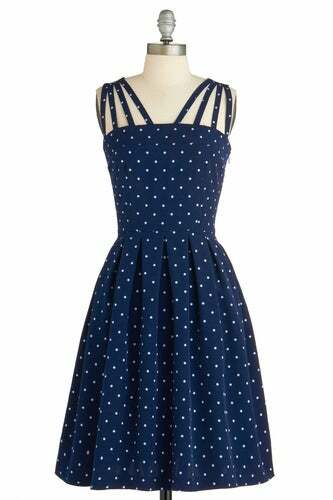 In The Mood for Dots Dress, $74.99, available at Modcloth. 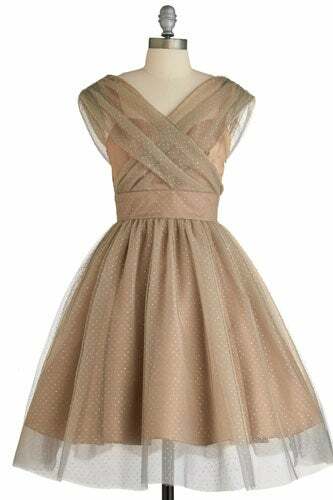 Sipping Chamagne Dress, $149, available at Modcloth. 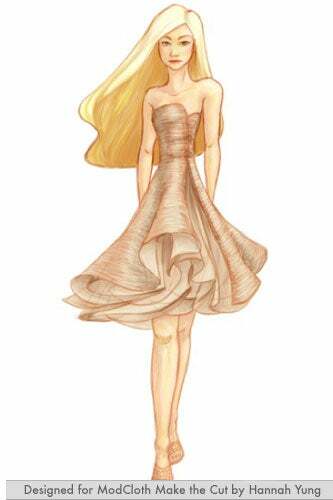 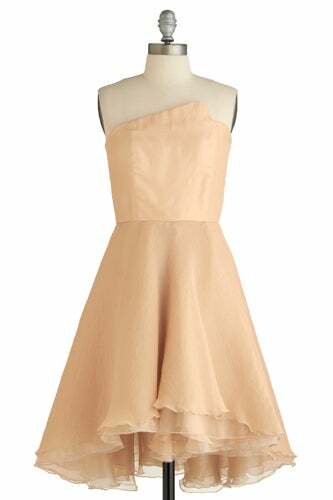 Belle in Bronze Dress, $159.99, available at Modcloth. 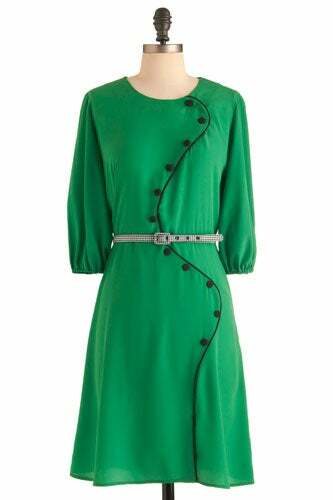 Swooping Sophistication Dress, $79.99, available at Modcloth. 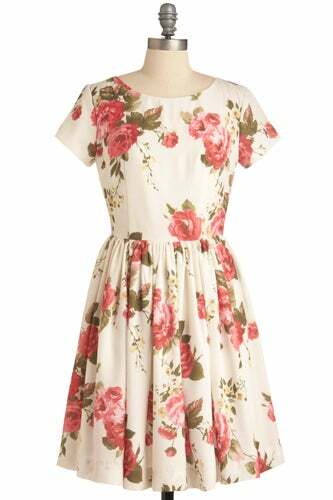 Reverie of Roses Dress, $84.99, available at Modcloth. 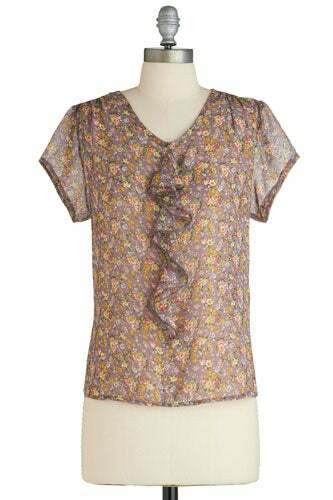 Flowers to Keep Top, $39.99, available atModcloth. 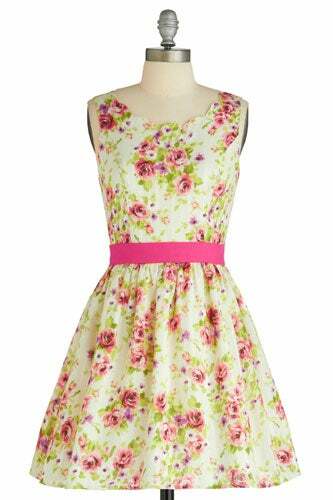 Flowers to Keep Top, $39.99, available at Modcloth. 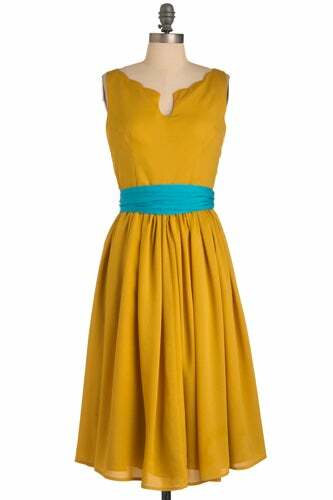 It Takes Turmeric Dress, $57.99, available at Modcloth. 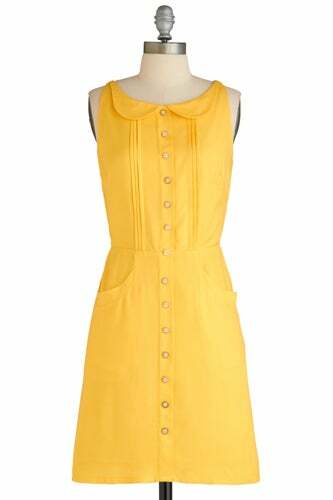 Winsome Style Dress, $99.99, available at Modcloth. 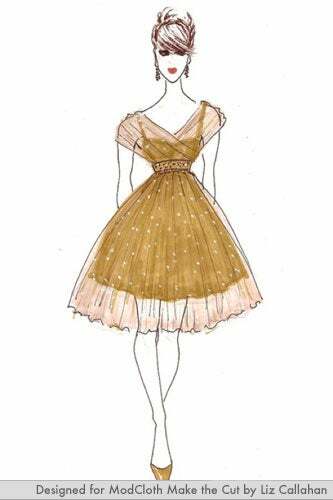 Effortless Allure Dress in Gold, $129.99, available at Modcloth. 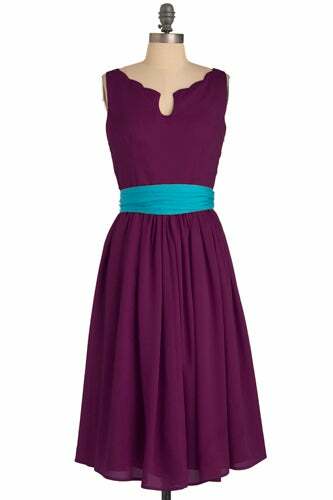 Effortless Allure Dress in Violet, $129.99, available at Modcloth.